Matte lipstick is a girl's must have for year 2019. Have you tried out any yet? 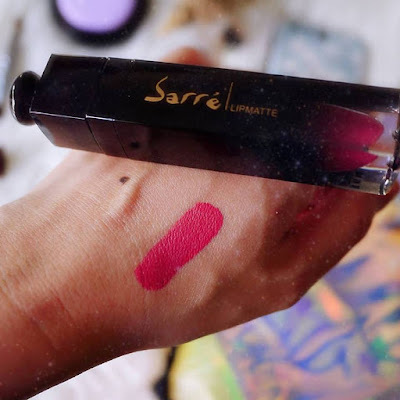 Today I am going to share with you the best Matte lipstick of this year - Sarr’e by Sari Lipmatte. 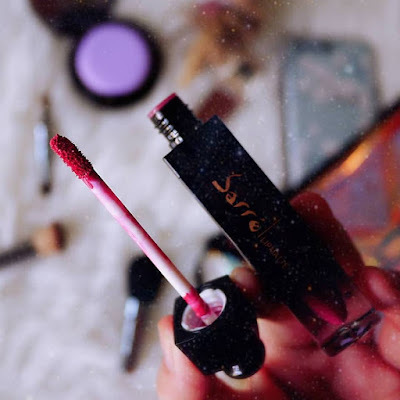 Established in August 2018, Sarr’e by Sari Lipmatte has sold more than 1000 units in just 3 months. Founded by Sarihana Serigar who is passionate about beauty and believe the perfect lipstick is the best way to enhance your appearance. I felt so honored and proud to share with you this home brand. 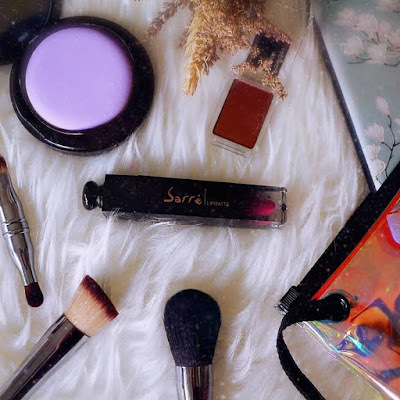 Sarr’e by Sari Lipmatte is made from natural ingredients such as Beeswax, Vitamin E and coconut oil. Vitamin E is anti-oxidant and a natural conditioner. It act like a sunscreen, preventing your lips from further damage. Coconut oil is a powerful moisture agent which protect and repair your lips from dryness. These natural ingredients work so well to my lips, my lips felt moisture after applying the lipmatte. I am wearing Suppresive shade, I love how it compliment my skin tone perfectly. Sarr’e by Sari Lipmatte is very pigmented and comes in a long flexible doe-foot applicator which allows precision and made it easy to shape your lips. The liquid lipstick formula is not drying and lasts all day. Aside from stain free, it is also long-lasting with very pigmented shades. I can eat, drink, be merry, and never worry my lipstick will disappear. It gives the most moisturizing, comfortable finish on the lips. Sarr’e by Sari Lipmatte make my lips healthier and lighter for the whole day. It is so unique that the colour changes after a few application (if u use a few layers at the same time), it is indeed so fun to play with. 5% of the sale will be channeled to Syria Aid. It is so good to shop while also give back to the community. To buy, please follow their Instagram account at Sarr’ebySari_official, or visit Sarr’e website at www.sarrebysari.com. You can also Call/Whatsapp your query or purchase to 013-3058282.